Yep, for a limited time you can get the Zweihander POD for $44.99 using this link. NOTE! CLICKING THIS LINK WILL PUT THE DISCOUNTED BOOK IN YOU DIGITAL CART. USE THIS LINK IF YOU JUST WANT TO EXAMINE THE PAGE. Without the discount link it is currently on sale for $49.99, normally $59.99. PDF is priced for $13 if that is more your thing. 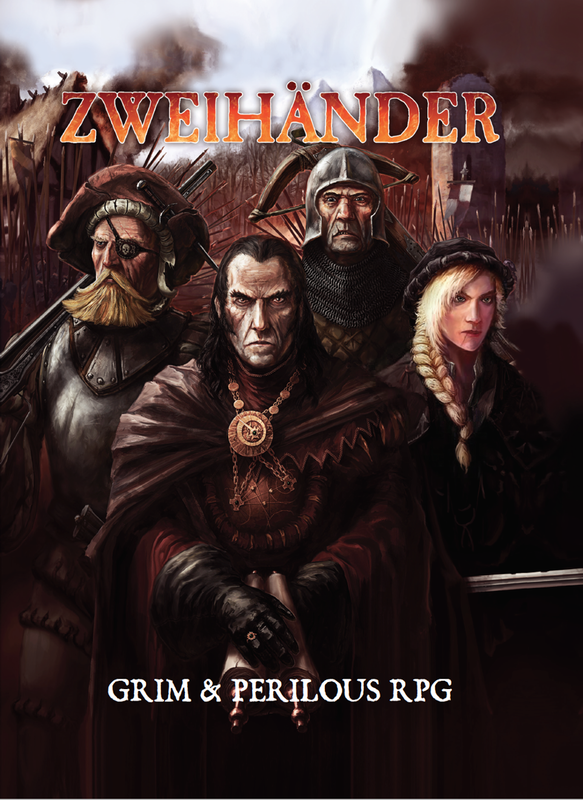 Now, I have the Kickstarter version of Zweihander in print and it is HUGE and pretty. If you enjoyed WFRP and would like to have an in print version this is certainly an affordable way to go for a high quality book. There are some places the rules take a different direction but that is true with most clones. The book comes with a full color cover, with black & white interior. We used the Hardcover Color Book (Standard Heavyweight) option to make the B&W images richer. In addition, the heavier paper weight makes this book retail quality! Picking up a copy of this ASAP. Last great Warhammer RPG I had was with the 1E boxed set.